The Fantasia Air flow charcoals are a patent pending design. The inverted v at the bottom of the coal allows for oxygen to be absorbed through the coal and elevates the coal off of the surface. This allows for consistent heat without a need to adjust the coals. This brand of charcoals is a great option for a natural coal that can be easily ignited via torch or a table top burner. 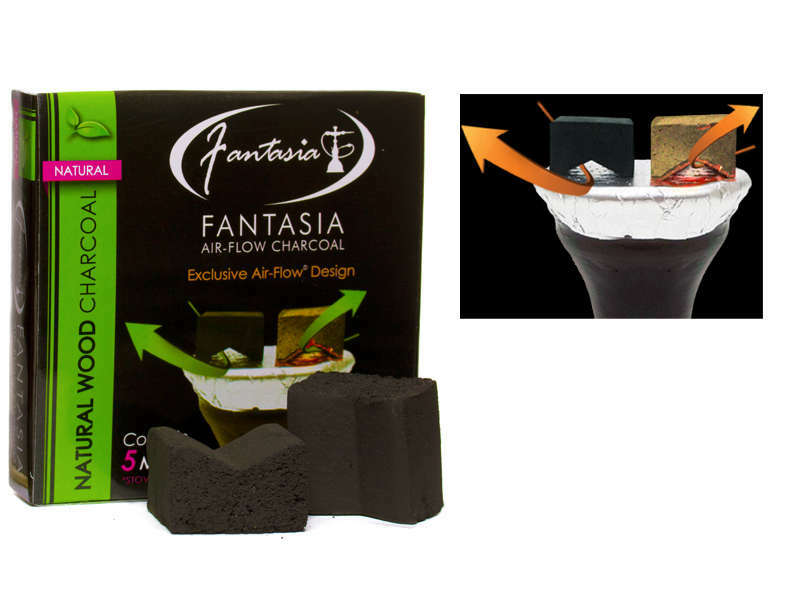 Fantasia Air–Flow coconut charcoal is unique in shape and lasts for over 45 minutes each.